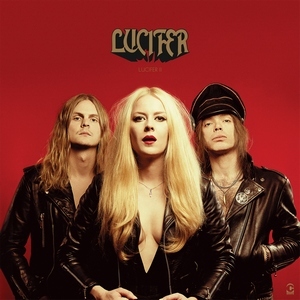 While some may continue to look at Johanna Sadonis and wonder why she can’t catch a break in terms of keeping a complete line-up from album to album, there’s something to be said for that of Lucifer’s II. The addition of Nicke Andersson (Entombed, Hellacopters) to the writing squadron has not only shook up the boat, but provided it with a difference sense of direction. One that’s quite inspired from the sounds of it. Where I was partly written with Gaz Jennings (ex-Cathedral) and mostly sank into doomier/stoner waters, II swings more with ‘70s rock. The shift is a welcome one, and gives Sadonis more of a chance to use her vocals in a more varied approach. 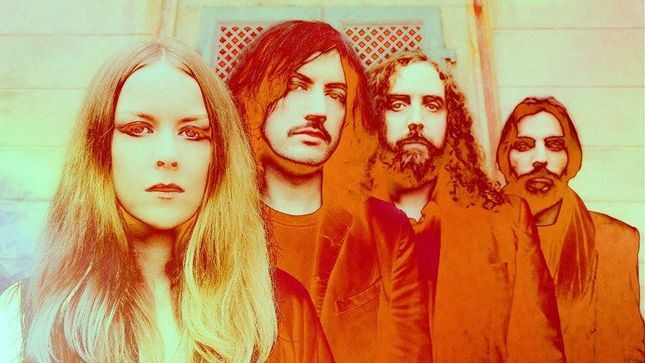 Don’t fret too much, as the rumbling doom is still present in the fuzzed out guitars (check out “Eyes in the Sky” or “Faux Pharaoh”), but there’s much more branching out. Sometimes it is into more upbeat directions, such as the punchy opener “California Son” or relaxed and inspired “Reaper on Your Heels.” There’s more ebb and flow with II, whether it’s the playful cover of The Rolling Stone’s “Dancing With Mr. D,” soulful melodies of “Dreamer,” or some psychedelia from “Aton,” they’ve captured that ‘70s spirit and are clearly having some fun with it. As alluded to already, Sardonis gets to shine a bit more, with the variation provided allowing her to use more range and allure in her voice, which in turn makes for a much stronger album as she is frequently front and center. Chock-full of catchy hooks (both musically and vocally), Lucifer may have had some line-up changes but it all seems to be for the better. Sadonis and Andersson clearly have a connection when writing this type of material, and Lucifer has never sounded better. While the direction may have been altered, there’s no denying the sheer infectiousness and fun to be had when listening to this one.